For some there are no differences between the two. There is a consciousness of Mitakuye oyasin – All my relations - the perception that we are all connected. There are no distinctions between our biological relatives and all that exists in nature in relationship with us. We are all in relationship, Mitakuye oyasin. 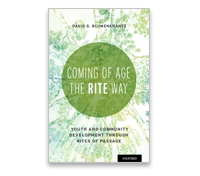 That is at the core of this ecological approach to youth and community development through rites of passage. Not only are we in relationship with others and everything in nature, but also all of the twenty elements are in relationship with each other. The traditional Western and European paradigm views natural resources as material sources of wealth. They include timber, fresh water, or mineral deposits that occur in a natural state and are perceived to be of economic value. Many of these natural resources are perceived to be essential for our survival while others are used to satisfy our need for consumption and consumerism. With this perception, that humans are divinely ordained to stand in dominion over All, then All becomes in the service of human needs and wants. In the consciousness and language of an ecological approach to youth and community development through rites of passage natural relations replaces natural resources. 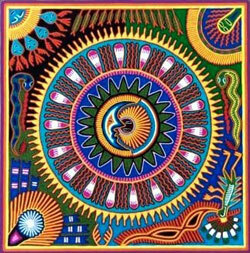 Our connection with our ancestors, which has traditionally been oriented around culture, is expanded to consider the Lakota belief Mitakuye oyasin – All my relations - a consciousness that all things are related. We move beyond a single cultural imperative to a global consciousness of the connection between all cultures for the survival of the planet and all those in relationship with the planet, Mitakuye oyasin. What if people’s sense of disconnection and exclusion from nature is a contributing factor to the environmental conditions that exist today? Initiation and rites of passage strengthen an individual’s sense of connection with, balance in and responsibility for, nature. If one has no relationship with nature would there be more a compelling feeling to trash it? Without initiation one would have a sense of disconnection from nature and the environment. This disconnection is likely to produce feelings of resentment, fear and anger. These negative feelings do not typically lead to compassion and caring. One primary purpose for initiation, or community-based rites of passage, is to give youth a deep sense of belonging to a particular group and place. How they “see” the world. A person’s sense of belonging - being included - is central to any group or community’s survival, to its resilience. Beyond the obvious future the youth represent it is incumbent on the leadership to guide its succession in order to facilitate a community’s own resilience. It also helps a person achieve a sense of identity, meaning and purpose in life. Through rites of passage people learn and commit to common values that guide behaviors beneficial for the group as a whole and for each individual member of the group. The absence of initiation (rites of passage) leads to a person’s sense of disconnection and exclusion from a group, a community and even from themselves, their ancestors, their environment and natural world, (their ancestry). This in no way discounts or disrespects the religious and cultural beliefs of one’s ancestors. A primary purpose of initiation is to move towards connecting deeply with one’s biological and cultural ancestors. The new paradigm considers what might be possible if after connecting deeply with one’s own culture we could then, paradoxically, transcend the cultural imperative of exclusivity and authority and are then able to see one’s self as part of a global culture. And, this global culture has as one of its primary values connection with, and caring for, their natural relationships. Mitakuye oyasin. Contemporary rites of passage call for a new story that could be called, “Yours, Mine and Ours.” You have YOUR ancestors and traditions - rites of passage, - which have a rich history of values and ethics that are important for you to know. And, I have MINE. But, together we have to create OUR collective – contemporary, community-based rites of passage that convey shared values, important to us all, and embrace the reality of the world we see and live in today. Mitakuye oyasin. the power of dominant groups rather than to make men happy. 1 See www.rope.org Rites of Passage as a Framework for Community Intervention with Youth, In The Spotlight.